This corner unit has views of downtown and Target Field - some of the best in the whole city. Updated cabinets, flooring, and paint. The character of this 100 year old building shines via exposed brick walls, wood beams, and high ceilings. Walk to everything that the North Loop has to offer, as well as the rest of downtown Minneapolis. Directions: Hennepin Ave to Washington Ave, North on Washington Ave to property. I was searching for a Property and found this listing (MLS #5144923). I would like to schedule a showing for 404 Washington Avenue N #606 Minneapolis, MN 55401. Thank you! I was searching for a Property and found this listing (MLS #5144923). Please send me more information regarding 404 Washington Avenue N #606 Minneapolis, MN 55401. Thank you! 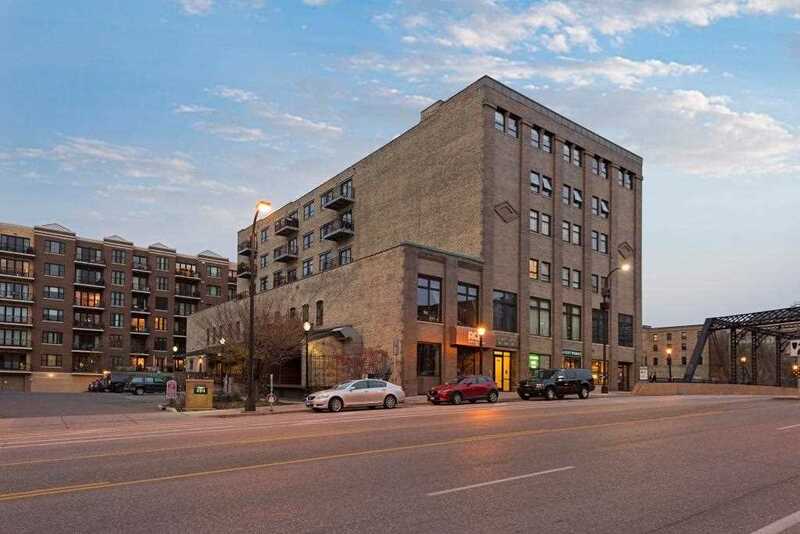 Listing provided courtesy of Norton Realty, Inc..
MLS® 5144923: This property at 404 Washington Avenue N #606, Minneapolis, MN 55401 is located in the North Loop subdivision and is listed for $455,000. MLS® 5144923 has been on the market for 75 days.